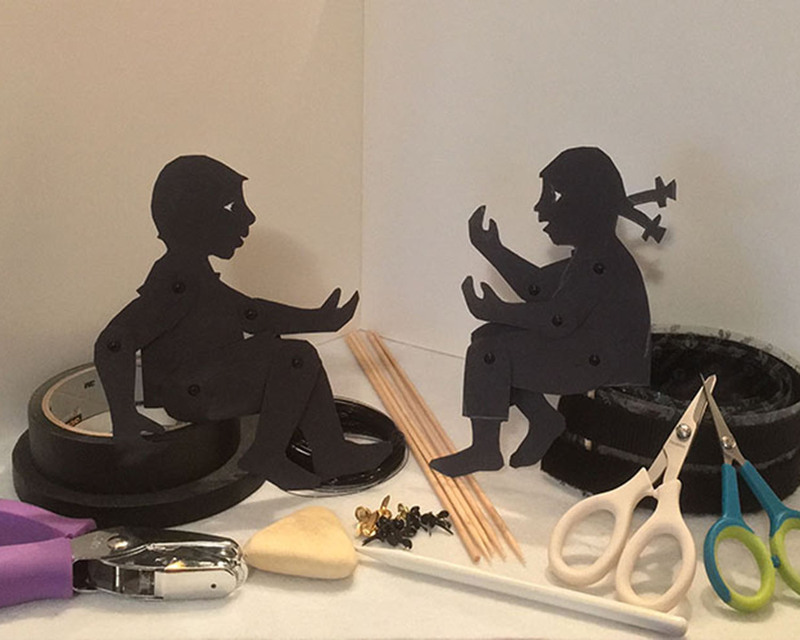 Shadow puppetry is a form of puppetry, in which you move puppets, cut out of paper (or another thin material), between a light source and a screen. The audience at the other side of the screen only sees the shadows. It is a lot of fun to do just by yourself, with friends, or as a family activity. You can make it as ambitious as you like with moving body parts and different props and scenes. Below you will find instructions for performances that you can do from a desk or table, a door opening, or even (in case you are sick) from your bed. Sign up four our mailing list or follow us on Facebook to keep informed about new puppets or posts!